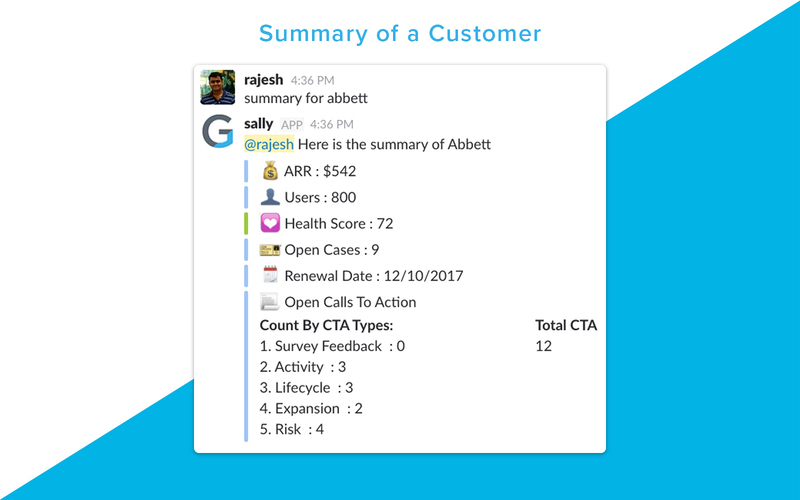 Sally makes rich Gainsight data easily accessible through simple conversation. 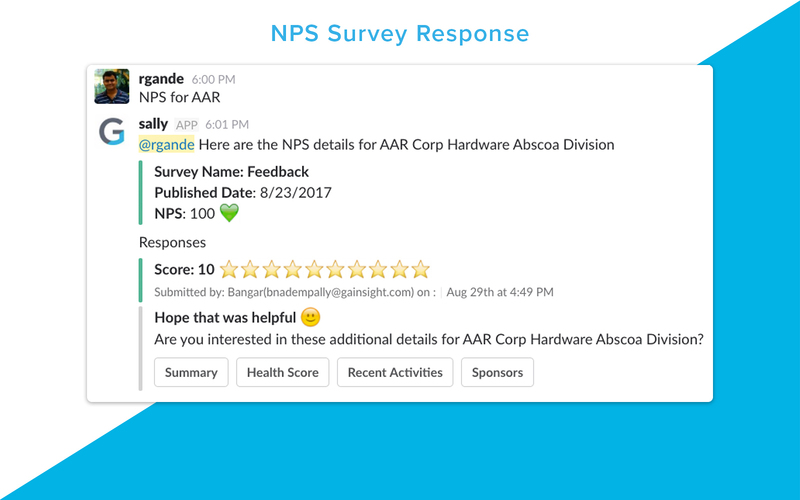 Your teams will rally around your customers with real-time customer insight within their Slack channels. - Talk with Sally just like talking with a real person; her machine-learning technology enables her to recognise a wide-range of words and questions and helps her get smarter with each interaction- Quickly gain insight into your customers by asking diverse questions about your portfolio; ask for a summary of any customer including health score details, NPS survey responses and key sponsors.- Facilitate collaboration across all teams with easily accessible customer information and engage each team members to rally around the customer’s goals.To use Sally, you need a paid Gainsight instance that can be connected with your Slack team(s). 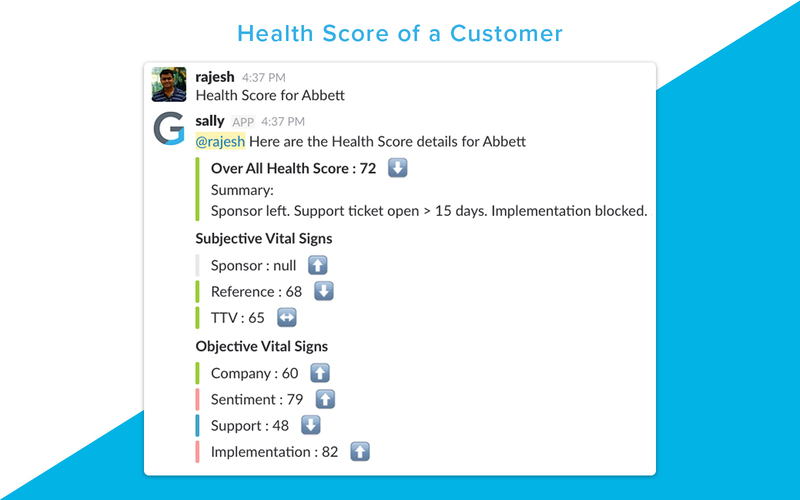 Gainsight Sally will be able to post to specific channels in Slack. 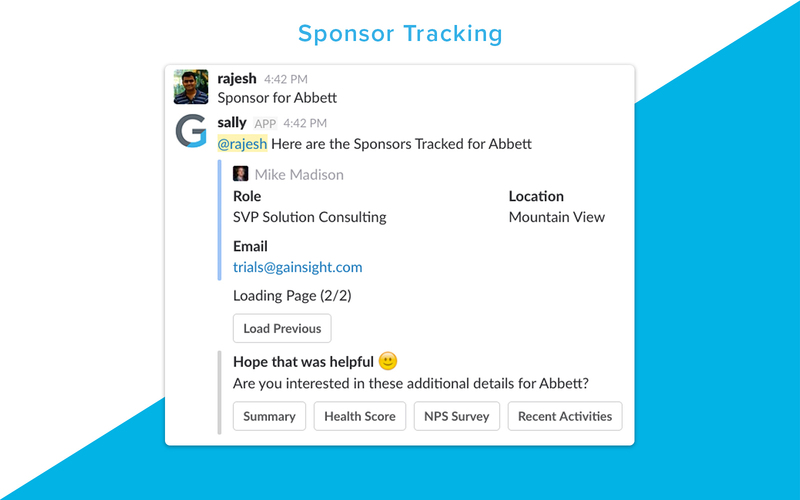 Gainsight Sally will be able to view the email addresses of your Slack workspace’s members. Gainsight Sally will be able to access basic information about your public channels (including names, topics, purposes, creation date, and latest message). 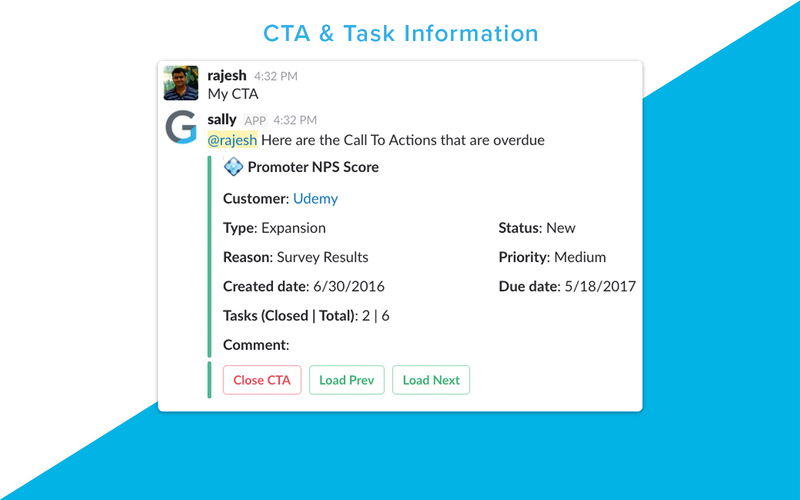 Gainsight Sally will be able to send messages to your workspace. Gainsight Sally will be able to access information about your workspace, including name, email domain, and icon. Gainsight Sally will be able to install a bot user that appears in and has access to your workspace’s directory. It can also post messages and view activity on messages in any channel it is invited to. 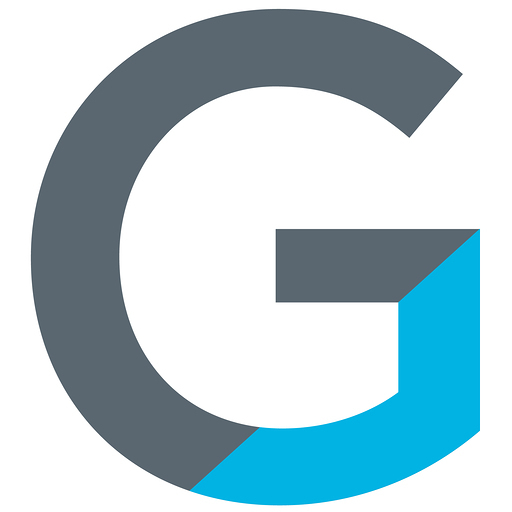 Gainsight Sally will be able to access profile information for all users on your workspace, including names and contact information.